Apple’s new iPad Pro and Microsoft’s Surface Pro 3 are both incredible products on the market right now, but which one is the better option? To start off let’s compare the screen size. With the Surface Pro 3, the screen is diagonally 12 inches long with the new iPad Pro being just a little bigger, spanning 12.9 inches across the screen. Another thing to compare is the Resolution size of these two devices. With the Surface Pro 3, you’re getting a resolution size of 2160 by 1440, but the iPad Pro steals the show with a whopping resolution size of 2732 by 2048. In other words, if you’re watching a YouTube video that is playing at a full 2K resolution size, your iPad Pro won’t have a problem rendering that video. The Surface Pro 3 on the other hand will. But having the ability to watch videos won’t matter if you don’t have a good battery to support it, which both devices do. 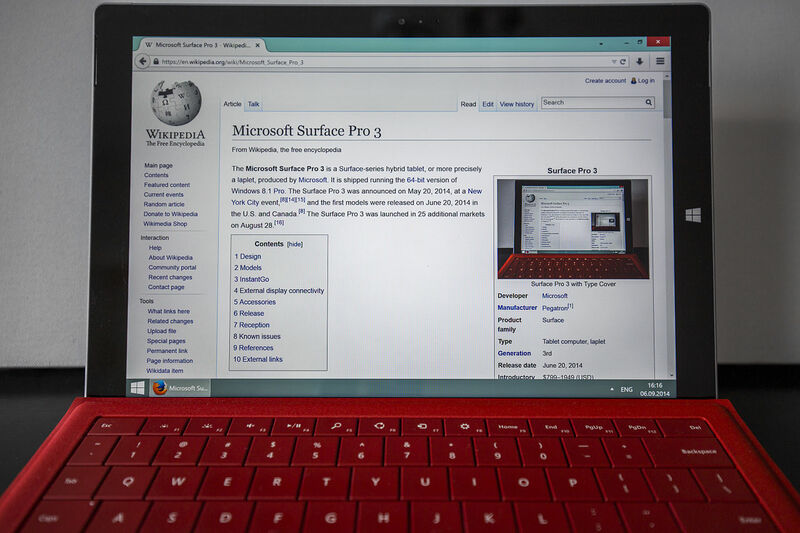 The Surface Pro 3 has a battery life of nine hours. But once again, the iPad Pro steals the show with a ten hour battery life. But what about the storage, and the prices on these devices? With the iPad Pro, we have 32 Gbs priced at $799, the 128 Gb version priced $949, along with a Cellular option for an extra $130. Comparing this with the Surface Pro 3 we actually have a variety of versions to choose from, with the storage ranging from 64Gbs to 512 Gbs and the price ranging from $799 to $1,949 respectively. However, each version has different hardware in them. With the normal $799 version having less RAM, and a slower GPU, CPU compared to it’s $1,949 counterpart. So do a little research on the version you plan on buying, before making your decision on what to purchase. Sadly I can’t compare much of the hardware between the Surface Pro 3 and the iPad Pro, mainly because the iPad Pro has yet to make its debut (scheduled for November), and Apple hasn’t released any new info on its hardware yet. The only info we currently have on it’s hardware is the new A9X chip which Apple claims to have a CPU that runs 1.8 times faster and a GPU that runs 2 times faster than the A8X chip. So the hardware seems to be Apple’s strongsuit when it comes to this device. Comparing this with the Surface Pro 3. If you want to match those specs, then you are going to end up spending about $1,299 to $1,949 on the best version.